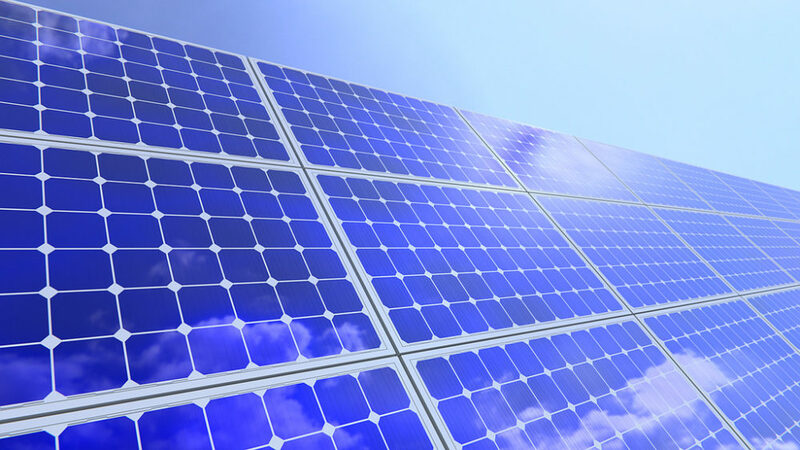 Kerri Johannsen, energy program director for the Iowa Environmental Council, thinks MidAmerican Energy could deliver better value for ratepayers by investing in solar instead of its expensive demand response programs. Demand response is an approach to managing peak demand that involves paying customers, usually large commercial ones, for reducing their electricity access during peak times, such as summer afternoons, when meeting full demand would otherwise involve firing up expensive, polluting peaker plants. Johannsen started studying MidAmerican’s demand response programs when the Iowa Legislature began seriously debating a law, which it passed earlier this year, that limits how much utilities are allowed to spend on energy efficiency programs. Since 2014, MidAmerican has spent about $12 million a year on demand response services, though it rarely taps them. Between 2014 and 2017, the company only reduced power to participating customers three times, for a total of six hours, according to Johannsen. Meanwhile, customers paid a heavy price for those savings. Johannsen calculated the cost to MidAmerican’s ratepayers at about $60,347 per megawatt hour. About $48,000 of that was for capacity, or the guarantee of access to power when needed. Using the PV Watts solar calculator to compare solar potential with MidAmerican’s peak demand, Johannsen found that solar could be of service. Solar production in Iowa typically peaks between noon and 1 p.m. in the summer, and begins a fairly steep descent shortly thereafter. The three occasions in recent years when when MidAmerican did need to call on its demand-response customers occurred between 3 p.m. and 5 p.m. Solar panels could be turned in a more westerly direction to better align peak production with those hours, Johannsen said. Meanwhile, solar would also produce power at other sunny times, as well. “We wanted to put out a new idea, a new way to think about peak, a new way to think about needs of grid, and meeting those with the most appropriate resources at the right time,” she explained. Johannsen didn’t try to calculate the cost of solar to replace part of MidAmerican’s demand response resource, although she pointed out that it continues to fall. She also didn’t specify whether solar production would come from rooftop installations or larger utility-owned arrays. Johannsen shared her vision in a docket before the Iowa Utilities Board but hadn’t spoken about it with anyone at MidAmerican. A company spokeswoman said it was reviewing the concept and would respond by an Oct. 8 deadline. Johannsen hopes that the state’s utility regulators will order the company to try the solar strategy on an experimental basis. UPDATE: In a response to this article, Gregg Dixon, CEO of Voltus, Inc., a California company that manages demand response programs, says MidAmerican could offer a better deal to ratepayers by aligning its program with the MISO market price. Dixon did not dispute that “Iowa is paying too much for demand response” but noted that as a grid resource, demand response is more reliable to dispatch than wind or solar.